On Tuesday, January 31, 2017, the Mount Prospect Police Department located and arrested Edham Salkic, 24, of 60 South Shaddle Avenue #302, Mundelein, Illinois. An arrest warrant had been issued for Salkic after he failed to appear for February 6, 2015 court date, while out on bond set at $200,000. Salkic was facing an attempted murder charge when he failed to show up for his court date. 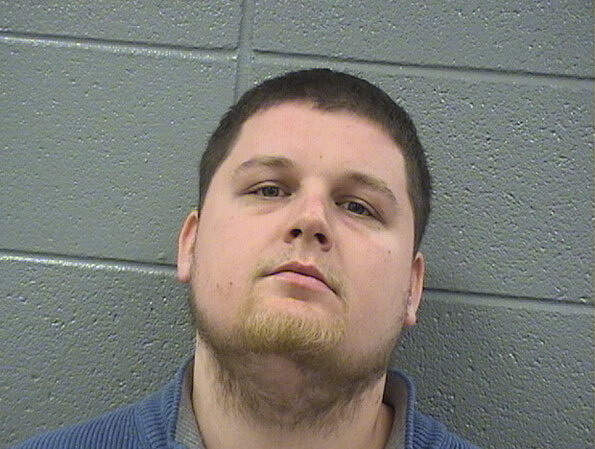 Allegedly, Salkic and a juvenile attempted to rob two men and shot at their vehicle as the victims fled on January 6, 2015 about 11:55 p.m. just east of Jewel-Osco behind a small strip mall. Salkic had been eluding capture and been placed on the Cook County Sheriff’s Top 40 Most Wanted List prior to this arrest Tuesday. Salkic was initially arrested and charged January 14, 2015, by the Mount Prospect Police Department, with two counts of attempted murder, one count of attempted armed robbery, one count of aggravated discharge of a firearm, and one count of unlawful possession of cannabis with intent to deliver. On January 6, 2015, Salkic and a 17 year-old juvenile approached a vehicle parked behind a business at the Euclid Mall strip mall in the 400 block of East Euclid Avenue, which is just east of Jewel-Osco near Randhurst Village. While wearing masks, police say Salkic and the juvenile attempted to rob the occupants of the parked vehicle at gunpoint. Salkic and the juvenile began firing their handguns at the victim’s vehicle as it drove away, striking it several times. The two victims inside the vehicle were not struck by any bullets and were not injured. On January 14, 2015, police said the victims were targeted during the January 6, 2015 crime, and that the crime was not a random attack. One of the victims reported the attempted robbery and attempted murders the following day at about 5:00 p.m. after walking into the Mount Prospect Police Station. The 17-year-old male juvenile from Mount Prospect, was also charged in January 2015 with one count each of attempted murder, attempted armed robbery, aggravated discharge of a firearm, unlawful possession of ammunition and unlawful possession of cannabis. Salkic remains in custody at the Cook County Jail and is scheduled to appear in court on February 28, 2017 at 9:30 A.M. in room 110 of the 3rd District Cook County Courthouse in Rolling Meadows. Salkic is described as 5’11” 240 LBS, and is being held without bond this time. Investigators from the Mount Prospect police were complimented for their diligent work involved in apprehending Salkic. “The dedication by our investigators to locate and take a violent offender into custody exemplifies the commitment of our Department to keep the community safe,” commented Deputy Police Chief Michael Eterno.